Yoga will be Friday before school at 7:45am, during Muskie Time & 5th period in room 22-007. The Muskie Wrestling Team invites you to attend their final HOME meet (Senior Night) of the season on Thursday,January 3rd at 6:00pm! 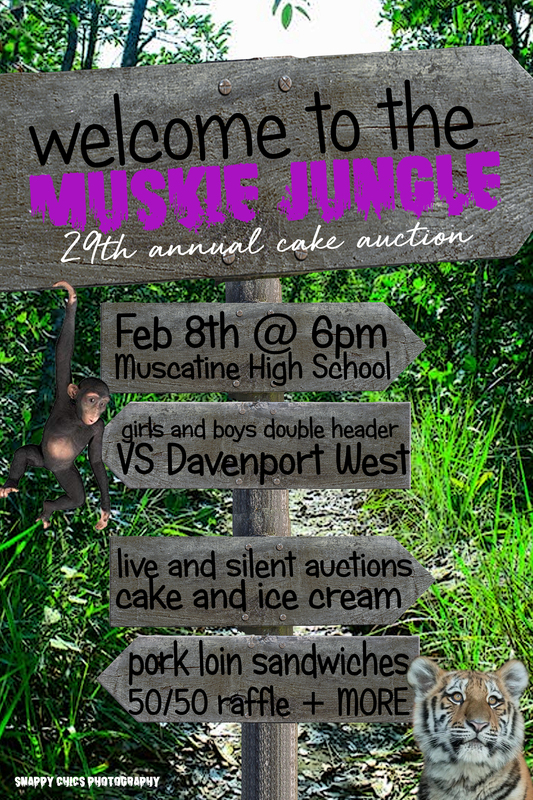 Cheering on the wrestlers is a great way to support your Muskie wrestlers. This is the final home meet of the season and is Senior night, so catch them in action Thursday night! New Silver Cord Opportunities (2): See Silver Cord section below. River City Show Choir Showcase Invitational: Do you need hours for Silver Cord, NHS or Key Club? River City Showcase Invitational is just around the corner on Saturday, January 12 and we need help. Set up will be on Friday, January 11th, from about 4:30 until done. We need volunteers to help with both set up and the day of the event. Jobs include concessions, security, and other misc. jobs. If you are interested in helping please contact Gail Ryan, co chair, at mgryan2@msn.com. Please include your: name, phone number and time you can work. Please respond as soon as possible so we can set up schedules. Looking for MHS students to help with the Miss Muscatine pageant in exchange for Silver Cord hours. January 5th 5:45- ?? possibly until 8:00 or 10:00. At Central Middle School auditorium. Light duties like collecting tickets, opening doors etc. Please contact Kim Sywassink at kim.sywassink@mcsdonline.org.